APK is a straightforward method that will definitely curve a notable niche. It is an easy to use program that only involves dragging and dropping if you want to install the apps from the PC directly. In most cases, users have been left with the option of using Google play store to install different apps. The situation becomes even difficult if you want to install a downloaded app that originates from a third party source. 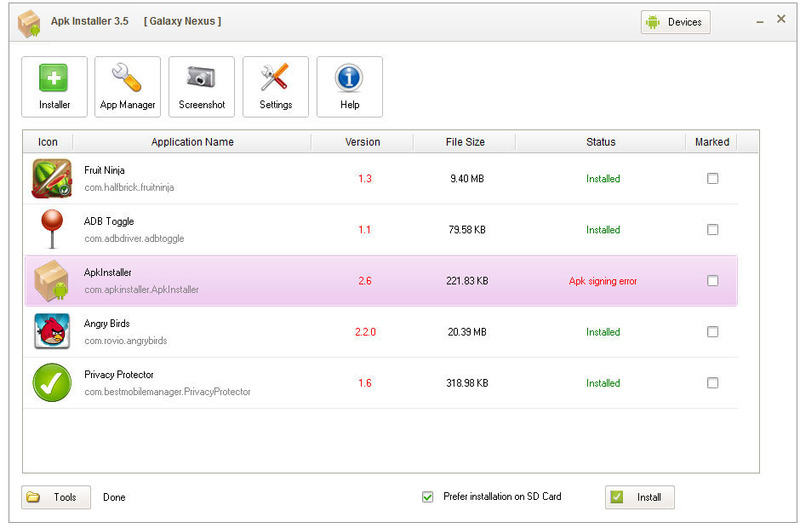 APK installer makes things easy and provides an appropriately memorable response and solution for all Android users. There is no longer the need to use a file manager when you want to open files copied from the computer. You can easily open them and install using the new program. APK is a straightforward method that will definitely curve a notable niche. It is an easy to use program that only involves dragging and dropping if you want to install the apps from the PC directly.